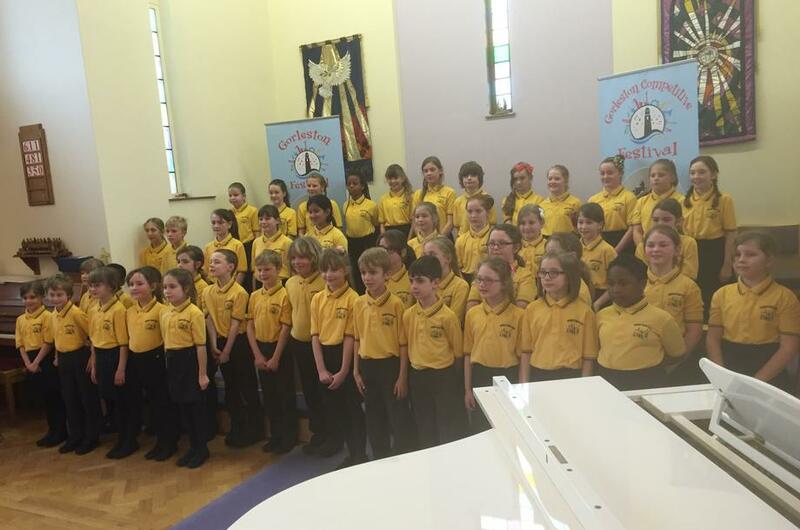 Many congratulations to all members of our school choir who competed in the Gorleston St Andrew's Music Festival on 9th March 2016. The choir performed excellently, singing four songs, 'Roman Villa', 'A Place in the Choir', 'Drunken Sailor' and 'Beauty and the Beast'. Comments from the adjudicator included "Excellent performances, both technically and artistically", which resulted in the choir being awarded a Distinction! Children were very proud to bring back to school the Winner's Certificate and trophy! A big thank you to Mrs Laws, Mrs Oxborough and Mrs Fulcher; also our parent supporters!